Which country are you ordering from? Please be aware that South African customs could charge up to & potentially more than R7000.00 for import duty and tax on your saddle. 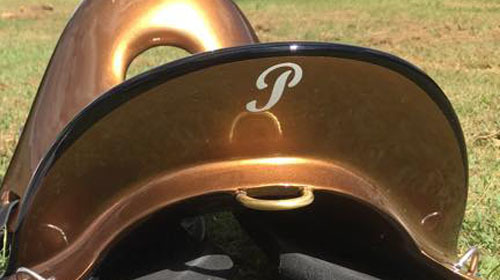 You're about to order your very own pandora saddle, but before you begin, please ensure you've had a look at our product description page to familiarise yourself with all the bells and whistles. This is an interactive order form, so please complete each step before moving on to avoid errors. please note that the color in the example images are not relevant. Information about each model can be found on our product information page. As you've selected the Marathon model we cannot provide Y rigging as the water bottles are in the way. We can fill your saddle with lead in order for you to reach a certain weight category at rides, this is permanent and the weight is non removable. 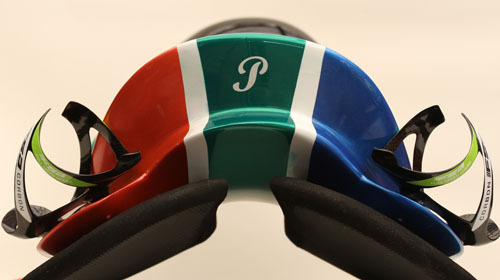 Okay, let's customise the colour of your saddle! 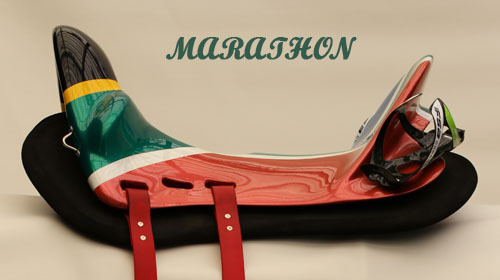 We use high quality automotive paint to make the saddles any colour you prefer! Or you can select the carbon fiber finish for an ever unique look! 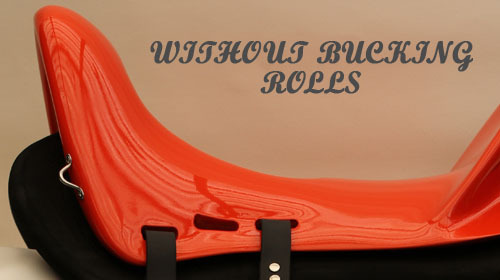 If you want a saddle with more than 1 paint colour or with a custom design. Please select 'custom' paint job below. 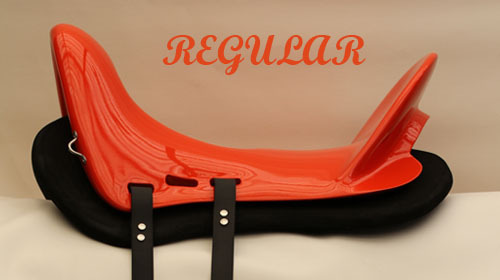 This excludes CARBON TRIM or DECALS, both of these options can be selected in the next few steps. Thank you! Please note that if you wish to replicate one of the saddles you have seen in our customer order page then you may upload the corresponding picture in the section below. If required, upload an image of your color or the image of the saddle to copy. 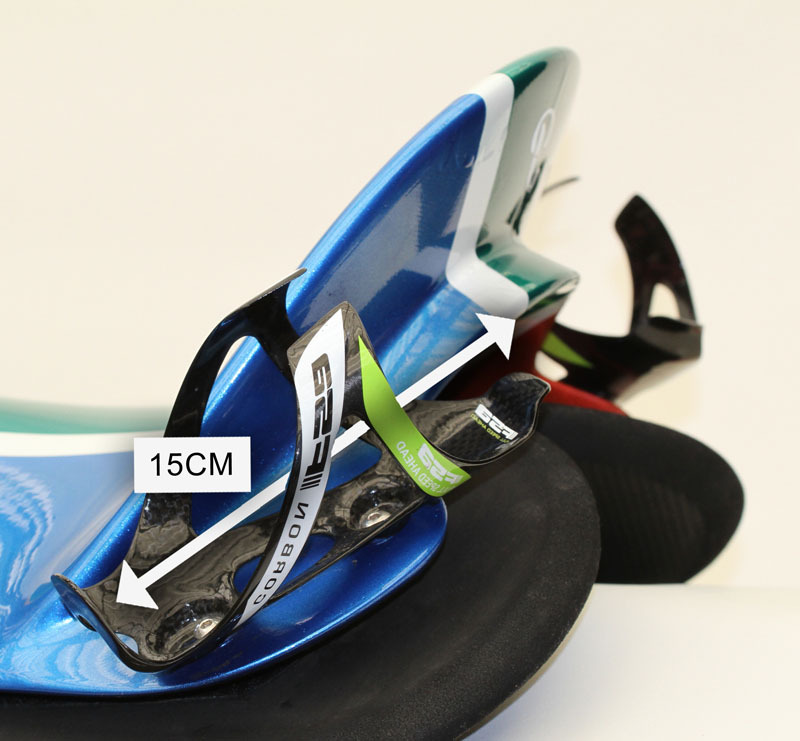 Please note that if you wish to replicate one of the saddles you have seen in our customer order page then you may upload the corresponding picture. The other way to do so it to describe your paint job in words.. Eg: Teal saddle (paint code: 4564) With a white racing stripe 4" thick down the length in the middle. Upload the drawings and/or example images here or the image of the saddle to copy. please note that DECALS will be covered in the next step of the ordering form. 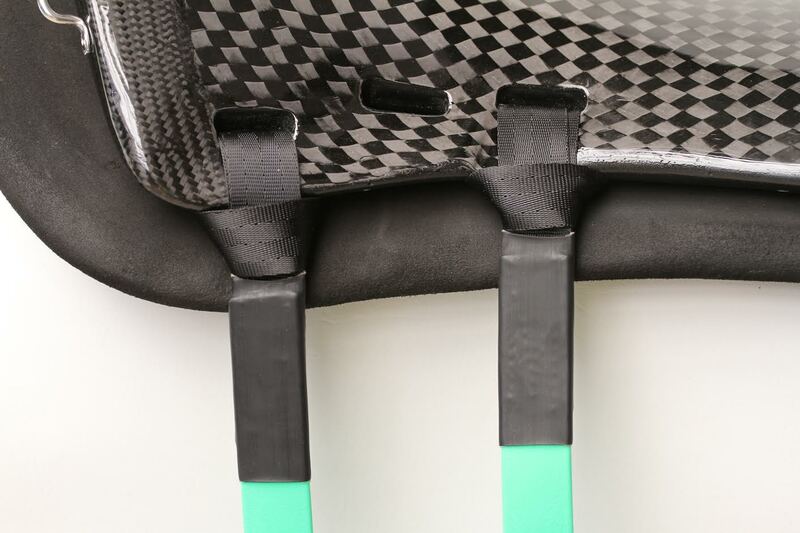 The carbon finish may contain imperfections in small holes which are caused by air bubbles in the carbon weaving which cannot be covered as with other painted saddles. 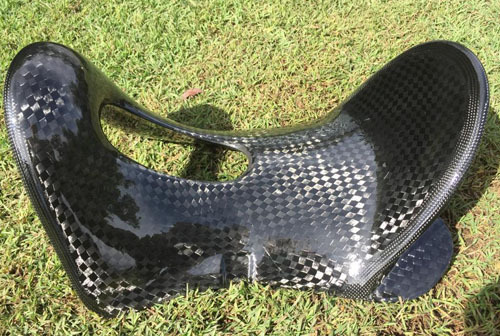 If you'd like a Carbon Fiber Finish, you can opt to have a smaller pattern or the larger pattern. 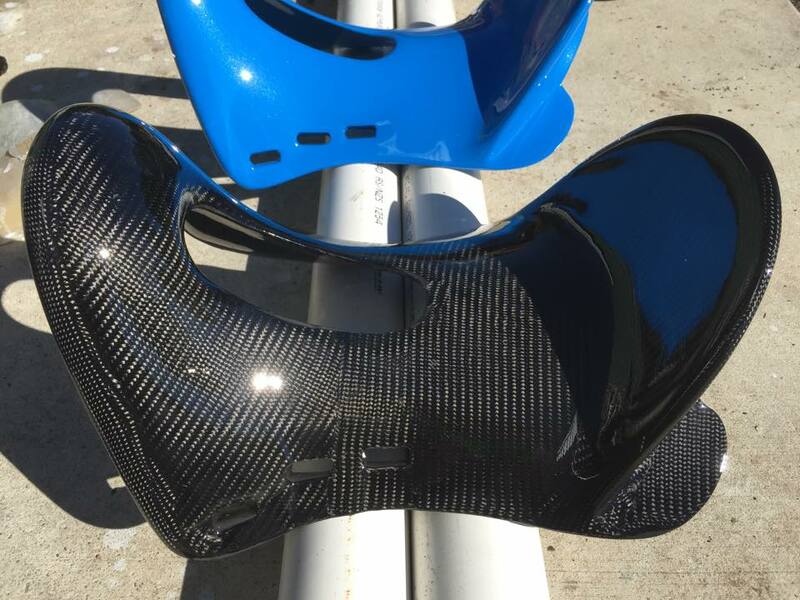 If you have opted to go with "REPLICATE A SADDLE" and that saddle has a carbon trim, you must select it below. 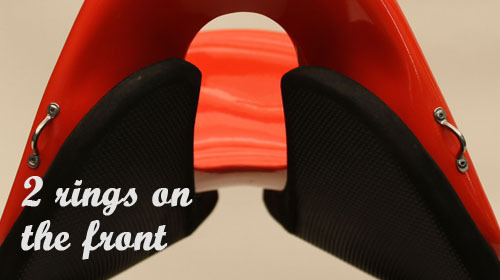 If you'd like decals or your logo on your saddle, we can provide that in form of a sticker. We require a high quality image of the sticker that is to be printed and the final dimensions. Note, that if you do not opt to have a sticker placed in the center back of the saddle our Pandora logo will be placed there. Upload the images of the Decals to be printed as stickers. Upload a drawing of where the stickers are to go on the saddle. 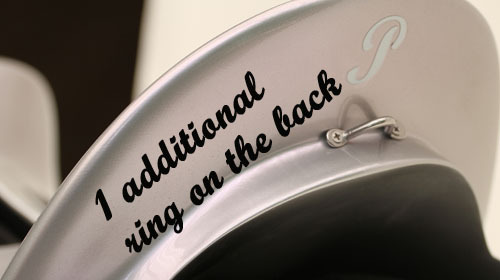 OR tell us in words where to place your stickers on your saddle. Note: you can order additional straps from our webshop !! Our NEW LOOPED straps come in many different colours. The 'riveted' style girth straps displayed in some of our photos are no longer in use. 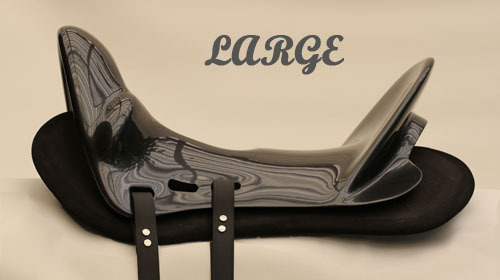 Each saddle standard comes with 1 set of BLACK looped synthetic girth straps (2 for each side). Included in the purchase price. Note that for straps in any other color will be an extra $20. You've added custom coloured girth straps! What colour will they be? We've provided a link to the manufacturer's website for you to select your perfect match. If you order a color which we do not stock, it will might delay your order as we have to wait for it to arrive in the mail. Simply tell us the name and # of the color you wish. * If you enter an unrecognized # then we will default it to black. 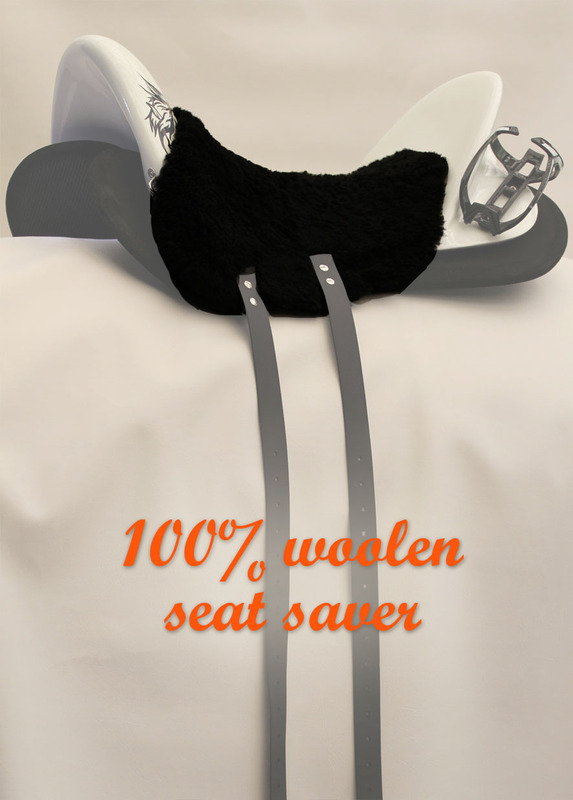 OPTIONAL - add stirrup leathers to your saddle Our NEW LOOPED synthetic stirrup leathers are available in black only. You've added black stirrup straps. Memory Foam Pads attached to the saddle with velcro. Please select the preferred color of your memory foam pads. What color do you want the extra pads to be? Please NOTE! The Bumna is not suitable for use with the Y-rigging. Please provide your contact details below. Ensure that the email address you've entered is correct as this will be the primary way of communication with regards to your order. If you haven't received an 'order successful' email after placing it, then we didn't get your order. If that's the case, please get in touch with us on our contact page. Shipping is $40 within AUSTRALIA. Shipping is $90 to New Zealand. You may also opt to pay by bank transfer at the time that your final payment is requested, if you do so the Paypal fee will be subtracted from your quote automatically. Please revise your order carefully before you place it. Of course we are able to change things after you've placed your order, but it may attract an additional admin fee. 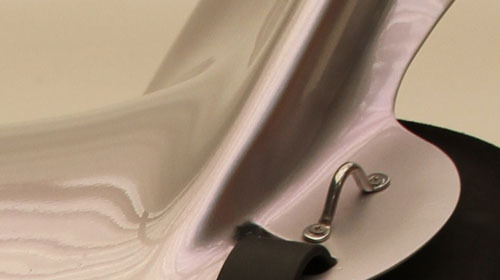 If you have chosen a carbon finish or a carbon trim then the carbon finish may contain imperfections in small holes which are caused by air bubbles in the carbon weaving which cannot be covered as with other painted saddles. I've double checked my order and I understand that any additional changes may occur an admin fee. I also understand that the Carbon might have imperfections present. 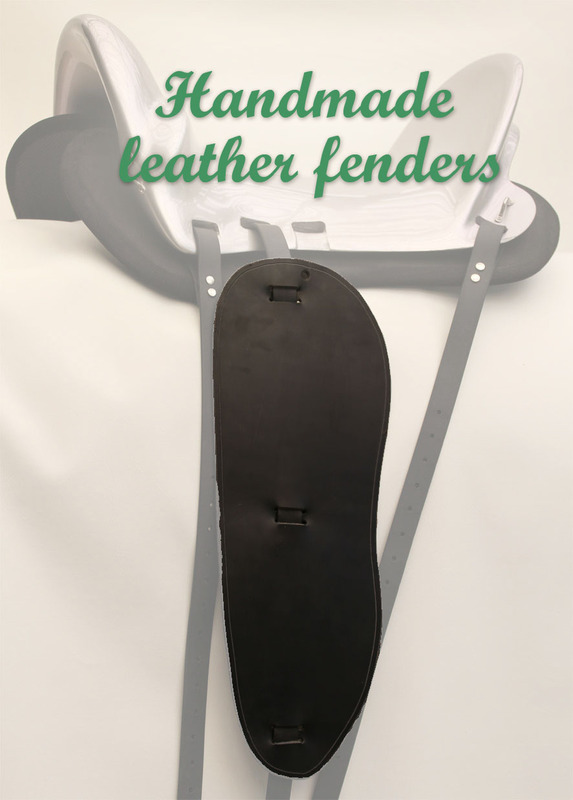 We know this part is boring, however VERY important for both yourself and us to ensure the most positive experience with ordering and receiving your saddle. We thank you for taking the time to read and agree to the below disclaimers. We offer warranty on the original models however custom modifications to the original shape, holes, d-rings etc are not covered by the warranty. These include but are not limited to: Y rigging holes, recessed stirrup holes, additional d-rings. Warranty is 3 years and includes any unusual wear or damage due to bad manufacturing/painting. This does not include damage due to wrongful handling such as dropping, horse rolling/stepping on it etc, the final decision is up to the discretion of the Pandora Team. After the deposit is received, we are happy to discuss part payments during the production of the saddle (4 - 8 weeks) but we cannot accept part payment arrangements once the saddle is ready to be posted. 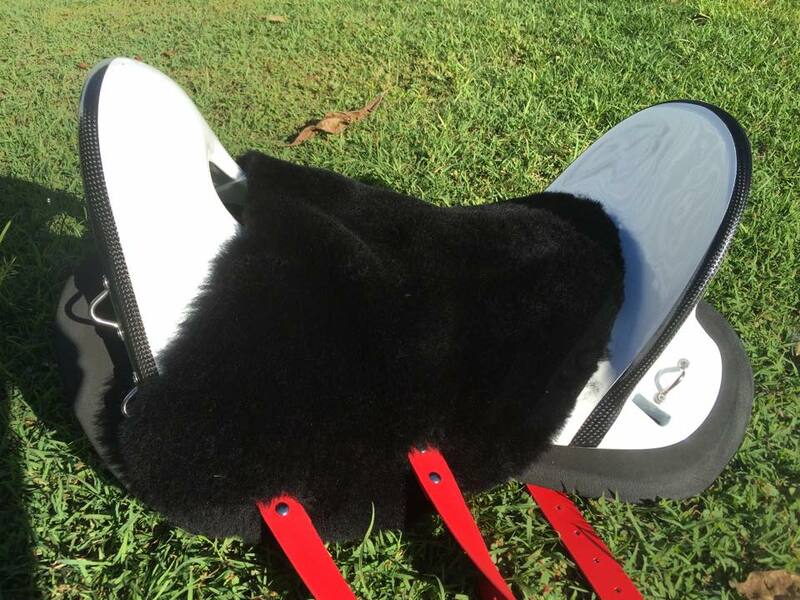 If you are unable to transfer outstanding amount within a week of request of the full and final payment, the saddle will be advertised for sale on our social media pages. I acknowledge that, continuing from here, I formally place an order for a Pandora Saddle and will pay the deposit on date of order. 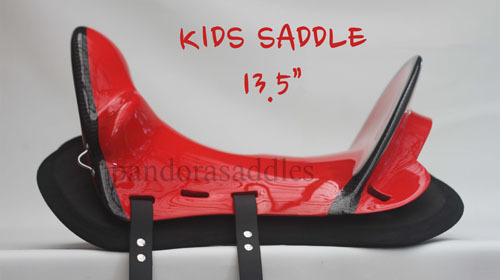 If the order is cancelled after manufacturing of the saddle has commenced, my deposit will not be refunded. These saddles are handmade, we are subject to weather, time, material availability, temperature, resin and paint curing etc. Saddles take approximately 3 weeks to manufacture, but depending on the number of orders we have and factoring in the weather which affects our production, the waiting time for your saddle could be anything between 4 to 8 weeks. You will receive an automatically generated confirmation email which means we have received your order. Continuing past this point will result in an order being placed and deposit payment requested. Are you sure you want to continue?